This premium joomla template designed specifically for powerful free platform offers all the features you need to create a business site. 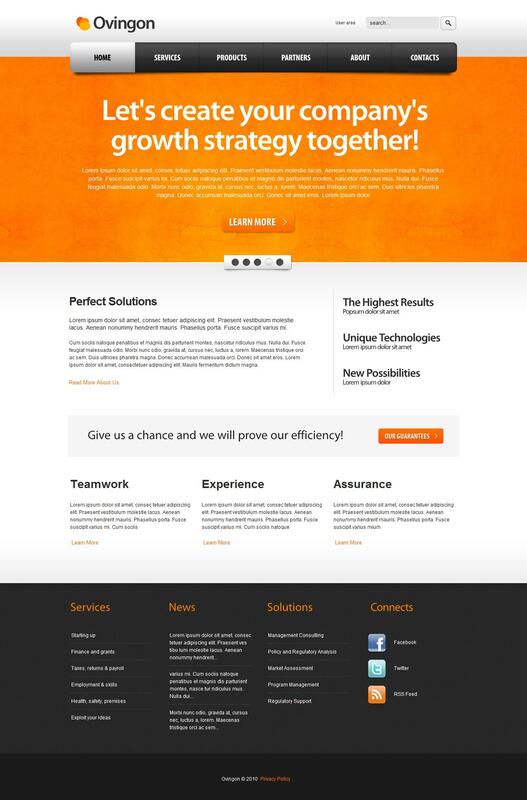 Lively, beautiful design will give your site dynamic. Qualitatively made slider will not only showcase your services or products offered, but also easily attract the visitors' attention to themselves. In large cap integrated menu that just will not remain unnoticed, the menu is also multilevel. The workspace is divided into several functional areas, each of which is perfect for showcasing your services or display useful information to your customers. Basement, as always, is not much different from the others, there you quietly posting useful components or extensions.